Humber rooster | You windy rathole! This entry was posted in Musings, Observation, Sketchbook and tagged birds, Humber Arboretum, Rob Elliott, rooster, swizzle studio. Bookmark the permalink. 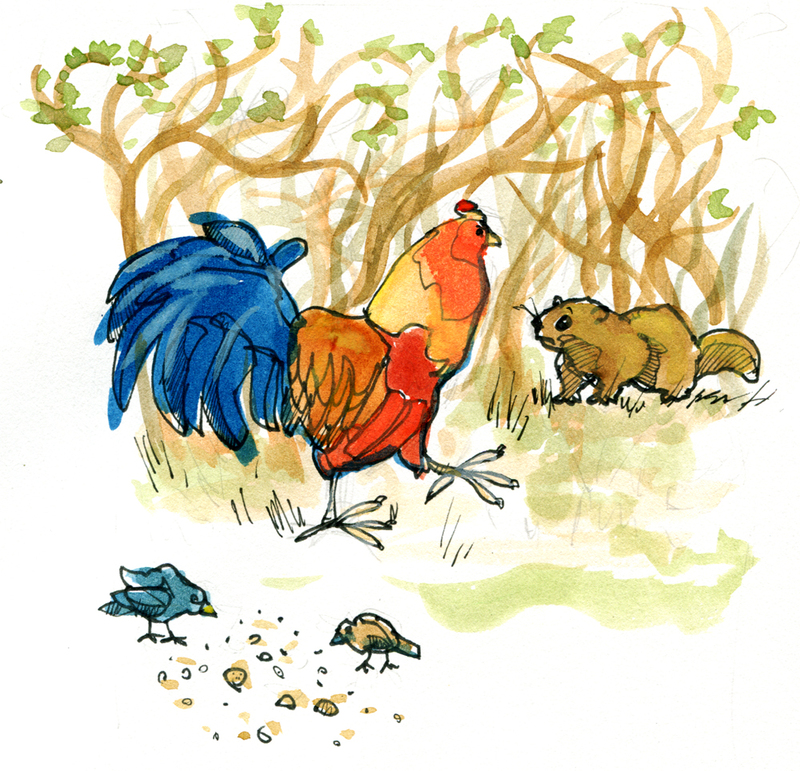 Great sketch – love the watercolours on the rooster! I saw the rooster today! Took a photo of him.